Transformer Instrument Transformer from 35 kV. up to 500 kV. 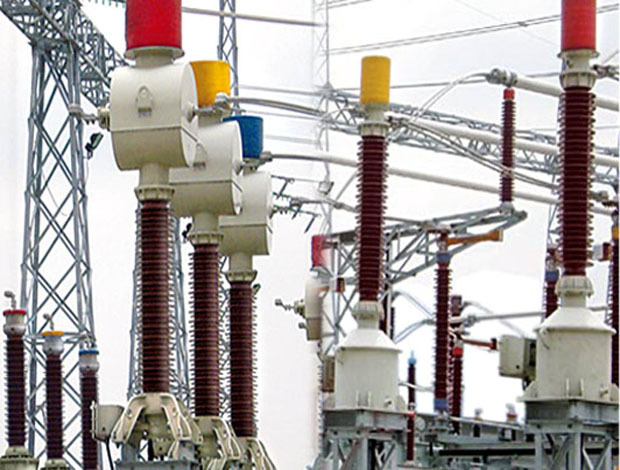 Current Transformers are used to transform high volatge line current to a low standard value. The primary winding of the live tank type current transformers consists of aluminum sections accomodated in the top housing. The primary winding is rigid, concentric and distributed uniformly around the insulated secondary winding in order to have optimum mechanical endurance against short circuit forces. The cores and secondary windings are enclosed in a well contoured, rigid aluminum shell which is fully insulated from the top housing. The secondary leads are taken to the base of the CT through an oil impregnated paper (OIP) insulated condenser bushing. The insulation structure is specially designed to have a uniform drop of electric field radially as well as longitudinally across the bushing. Voltage Transformer (VT) are used to transform high system voltages (kV) to low measurable values (Volts). The high voltage winding consists of a multi-layered coil of insulated copper wire. Inter-layer insulation is provided by Oil Impregnated Paper (OIP). The high Voltage (HV) winding is wound over the low voltage (LV) winding and assembler over a closed iron core maintained at ground potential. The VT can be provided with several metering and protection windings and can be designed to provide any desired voltage output from the secondary winding. Secondary taps can be used to obtain multi-ratio secondary voltage output. The high voltage lead is brought to the bottom tank (which houses the windings) through an OIP insulated condenser bushing in order to maintain the accessible bottom tank of the VT at ground potential. Contact us today and we will propose the suitable Instrument Transformer based on your requirements.